Winter is fast approaching! 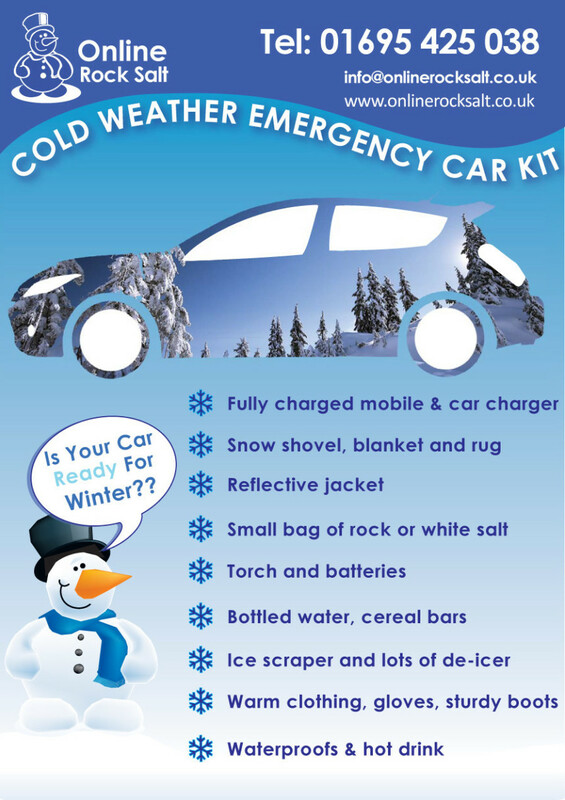 and so we’ve written a checklist of items you’ll want to have in the boot of your car when the snow and ice returns, getting you ready for whatever the winter weather might throw at you! Nervous about driving in snow? Check out our latest blog on the subject here: to find out a comprehensive list of tips for driving in perilous conditions. One of the biggest things that make life easier during the winter is keeping the roads gritted. Unfortunately your local council may not reach your road and so we highly recommend keeping a small supply of rock salt that you can use to grit your driveway or your road. Check out our rock salt products here: For bulk users, we offer palatalised packs of salt or can supply loose loads if you let us know in advance!